When shopping for that special someone who loves the great outdoors, it's easy to be overwhelmed. There are so many companies and so many items with so many different features that it's hard to know where to start. 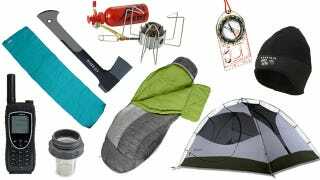 That's why we thought we'd kickstart this party with some of our favorite camping gear. We hope H.D. Thoreau would be down. Name and price of the product (please link this to a product page when applicable, so people can easily buy it).